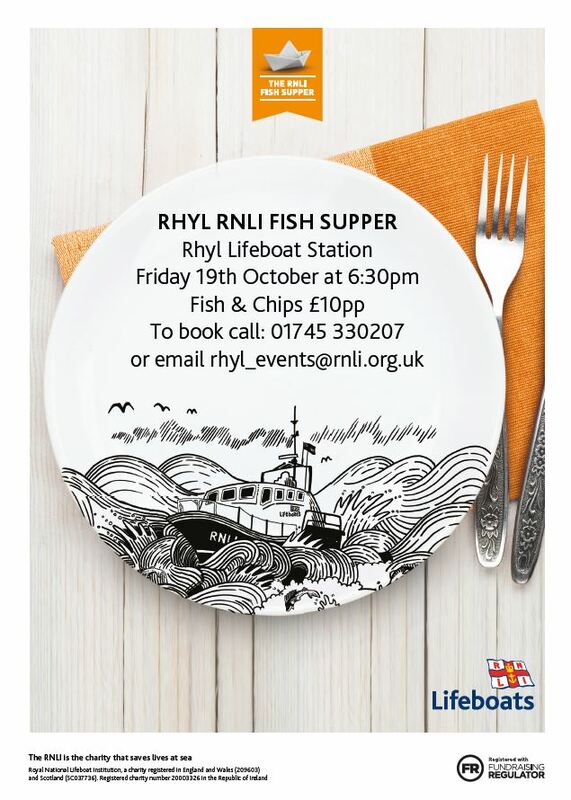 Join us at the Rhyl Lifeboat Station for our 2018 Fish Supper! 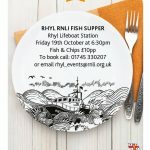 Enjoy Fish & Chips in the unique surroundings of Rhyl Lifeboat station. Tickets are £10 each, all proceeds go to the RNLI, to help save lives at sea. Our crews are ready to drop everything – even their supper – at a moment’s notice to go to the rescue of people in trouble on the water. The money you raise when you host a Fish Supper supports all aspects of our lifesaving work and could help us buy kit for our crew members or fuel for one of our lifeboats.